I was born and raised in Tallassee, just minutes south of Lake Martin. My family and I have owned property on Lake Martin for over 40 years. Prior to my father purchasing a lake lot in the mid 1960’s, our family would come to the lake and find a place where we could access the water for picnics and swimming. Our family cabin in the Blue Creek area provided many years of memories for both family and friends. After graduating from Auburn University, I began my career with Alabama Power and served in various management capacities. During my career, I gained extensive experience in working with customers, including developers, builders, attorneys, engineers, individual and corporate real estate personnel, and people from many other backgrounds. 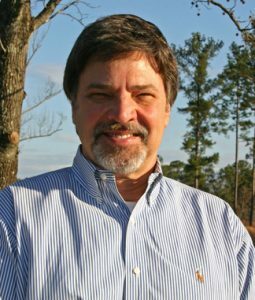 For the last 12 years I served as the Risk Management Manager for the northern service territory of Alabama Power Company before retiring after 34 years of service. Upon retiring, my wife Tamie and I moved from Birmingham to our home in the Russell Lands Windover development on Lake Martin. Both Tamie and I are actively involved in our community and are dedicated supporters of Children’s Harbor, a non- profit organization serving the needs of seriously ill children and their families. Lake Martin has certainly changed over the years and is changing still today. I have many memories of growing up on Lake Martin and have seen the lake grow from mostly a weekend retreat to a place many now make their permanent home. I would love to assist you in finding your place to make memories happen for your family. Whether you are interested in buying or selling property on this beautiful lake, let someone that lives the lake every day, with extensive knowledge of the neighborhood developments and surrounding area, assist you in making your next move. That someone is Damon Story. Retired here! Came back home…love the area!